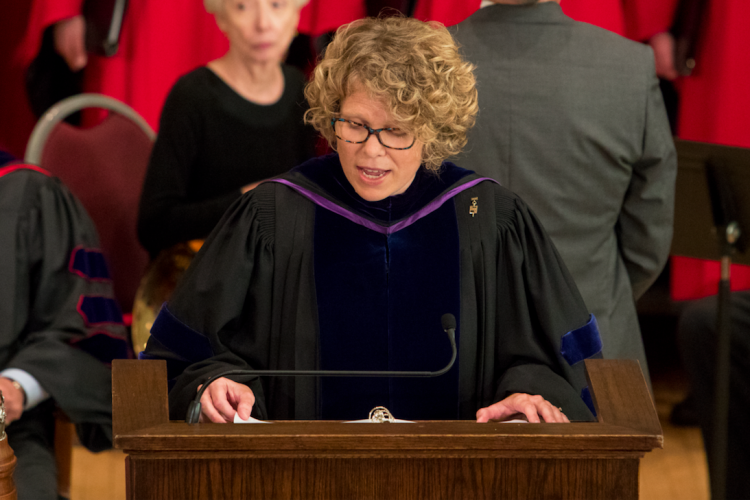 The Hilltop Monitor had a chance to ask William Jewell College’s new president, Dr. Elizabeth MacLeod Walls, about the upcoming year, focusing on Jewell’s “rebranding.” Bolded are our questions, and her responses are denoted with EMW. What was your first impression of William Jewell College? 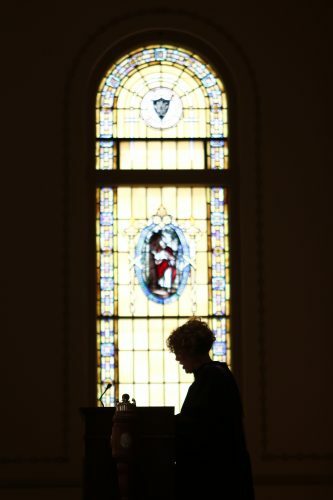 EMW: My first impression of Jewell was that it was a place of optimism and originality. Has this impression changed for you? If so, how? EMW: It has deepened. I find that the sense of hope and purpose coupled with creativity is at the heart of everything we do. Can you tell me a little about the rebranding process, just what the process looks like and what we should expect? EMW: We are not rebranding; rather, we are seeking to uncover something that we believe already exists. It is our overarching identity or purpose. The brand mission exercise allows us to quest for–or go on a mission to uncover–our shared purpose. This then will become our unifying message for everything that we do, including marketing the College. New Student Orientation Saturday, Aug. 20, 2016 at William Jewell College in Liberty, Mo. What do you personally hope to achieve with the rebranding? What would you like to see this “new brand” say about Jewell? EMW: I can’t answer this, since I don’t yet know what our brand mission is. I’m convinced that we will know it when we see, and feel, it. EMW: Jewell is ready to reintroduce itself to Kansas City and the region. We are a community asset. It’s up to us to remind our partners and constituents of the superb education that we offer. What inconsistencies do you see in Jewell’s current branding with what Jewell is actually like now? EMW: Our current marketing is sporadic and limited to only a few audiences. We need a unified approach that we apply to every communication that we have with all audiences. Generally, what were you pleasantly surprised about since the start of the semester? What has disappointed you, if anything? EMW: I have been pleasantly surprised by how quickly my family has acclimated to our new life here. I’m disappointed by the very few lunch hours that I have to spend on campus with faculty, staff, and students–but the trade off is worth it for Jewell: I am meeting with many community leaders and stakeholders, which is a gift to me and a true joy. What goals do you have, rebranding related or not, for your first year at Jewell? Is it likely you’ll achieve them? EMW: Our leadership team is focused on brand mission development and marketing, programmatic enhancement and development, engaging our supporters in new and meaningful ways, and sustaining enrollment health. I intend to spend this year listening and learning from our constituents, both internally and externally. Opening Convocation is held in Gano Chapel Friday, Sept. 9, 2016 at William Jewell College in Liberty, Mo.